You’ve been living for the weekend; you have friends coming over later, to just escape life for a moment and enjoy the coolness in this Florida heat, ONLY TO FIND the pool is as green as your neighbor’s fake lawn. It may not be as bad as it looks. How did the Algae get in my pool in the first place? 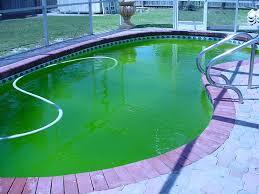 Algae is a one-celled plant that is the big scary monster pool owners are frightened to death of. (I’m writing a Horror film on Pool algae coming soon.) But how did it get there??? The first thought is, well it needs chlorine, so we blame our spouse for not stopping by and grabbing chemicals on the way home or call the pool guy and unload the last four weeks of stress on him. However is it is a bad as it looks? Am I going to keep asking questions or am I going to answer myself? HMMM? Well, here we go. 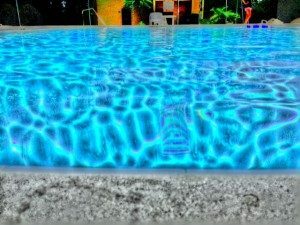 Pool water readily contains everything algae needs to grow, carbon, hydrogen, oxygen, nitrogen, and phosphorous. Some major contributing factors out of our control are sunlight, temperature, humidity, floating debris and pollens. And factors we can control such as filtration, circulation, flow, sufficient levels of disinfectants, these are all things we can take control of. Don’t be too hard on yourself because, at the end of the day, pools are prime real estate for algae growth. 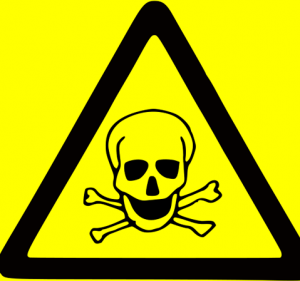 DID YOU KNOW: Contrary to popular belief, algae in most cases is not harmful to users. Algae can easily get in pools, but truth be told it can easily be removed as well. 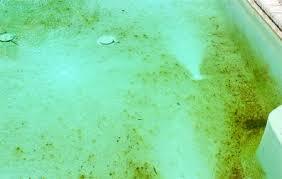 It’s not a matter of if but when are algae going to attack your pool. 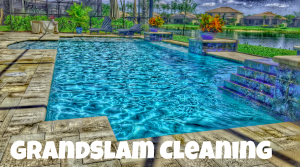 Some summers are worse than others but just be ready and be optimistic because now you know how to take care of it and defend yourself and the pool. 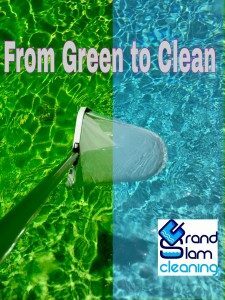 Remember GrandSlam is always here to help in assist in any pool maintenance needs, so call us and get on our pool cleaning schedule.